Sun, sand, surf and seascapes – check in to Chasing Waves and soak up the Cornish coast from your holiday home from home. This beautiful apartment has been flawlessly created with luxury and comfort in mind setting the scene for wild winter weekends or extended summer stays. Two spacious bedrooms, two indulgent bathrooms and a wonderful open plan living space brings friends and family together in style. Located overlooking the stunning headlands of Newquay high above Fistral Beach, explore the natural playground of the North Cornish coastline including Padstow, Watergate Bay, Holywell Bay and Crantock. Chasing Waves is set within the first floor of Seascape Apartments, a newly developed collection of luxury homes offering jackpot views for the ultimate beside-the-sea escape. The internal lift will ascend you right to your door. Once inside, lead from the central hallway into the hub of the apartment, the open plan living, dining and kitchen space which is flooded with natural light from the glass doors to the balcony. The kitchen is fully fitted and perfectly equipped with all the kitchenalia you could need for creating your holiday menu. The breakfast bar with 4 high stools welcomes family meals on the go or lazy suppers with friends to enjoy good food and good company. Retire to the relaxation of the living space and sink into the large oversized sofa set under the glass doors or enjoy a mornings coffee with the daily paper before stepping out to explore the area. Choose from two indulgent bedrooms each thoughtfully styled with a chic coastal twist from the azure blue hues of the master bedroom to the cool pastels of bedroom two. The zip and lock option ensures a versatile arrangement whatever your group, whatever the occasion. A large family bathroom oozes contemporary living with deep bath and welcome shower after a day in the surf. Slide back the double glass doors of the living space and step out onto the balcony set to the quintessential backdrop of Fistral Beach and surf. A dining table and chairs welcomes al fresco dining as the sun sinks into the blue bay, this really is the perfect sundowner spot. Check the surf state from your elevated vantage point or sit back and enjoy the comings and goings of beach life below. 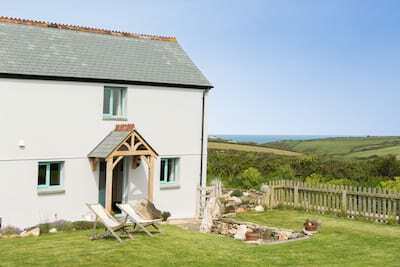 The panoramic views stretch up the Cornish coast with far reaching Atlantic sea views. When in Rome? Hit the waves and try your hand at surfing, Fistral Beach offers a range of tuition whether you a novice or want to perfect your skills. If walking the coastal path is high on the agenda then you are well placed, don your walking boots and head out along the paths from your holiday door. Hug the coastline around Pentire Headland, across the golden sands of Crantock Beach and over towards Polly Joke and Holywell bay for some of the best scenery in Cornwall. Amidst the adrenaline of the coastline, Newquay has so much to offer from cool artisan cafes, tempting delis, a lively bar culture and some wonderful places to dine on the freshest of fish plucked daily fresh from the bay. Leave the car and enjoy Newquay on foot or choose to explore a little more of Cornwall as you head North towards the harbour towns of Padstow and Port Isaac or South towards St Agnes and St Ives. Chasing Waves is no ordinary holiday home, add a little Cornish luxury to your stay this season. "What's so good about it? 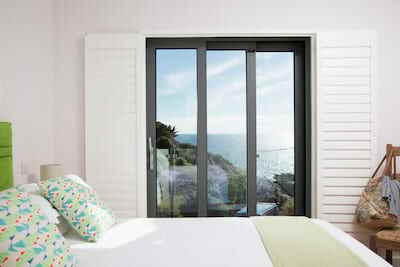 Principally the view overlooking Pentire Beach and The Headland...The accommodation is spot-on too: think open-plan living, glass-fronted doors and a balcony." Chasing waves is fantastic. Every tiny detail and need was catered for. The goodie bag was a delightful surprise on arrival.This was our first time with Cornish Gems and I can honestly say every excellent comment is well deserved. I would just like to say thank you Cornish Gems you made it spectacular. A great apartment. Everything you would need. Very tasteful well maintained and decorated. Super position and great views. Sad to leave and would love to visit again. Our bank holiday weekend was fabulous! Lovely finish to the property with top end fixtures and fittings throughout. The owners have a lovely touch and have a lovely holiday home. The property was absolutely fabulous, very clean, superbly equipped and beautifully furnished. The apartment was even better than the photos. Superb almost brand new property, cutting edge modern architecture, stunning views to the north and the west and benefiting from evening sunshine.